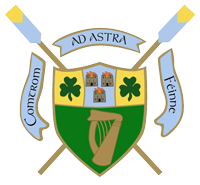 This weekend saw the UCD Senior and Intermediate 8+’s travel to Dorney Lake in Eton to compete at the London Metropolitan Regatta. This was the first 2km event of the season for the crews and excellent racing experience against the top UK crews was gained. 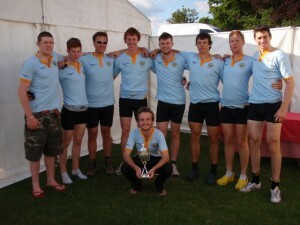 On Saturday, the Senior 8 finished 3rd to Tideway Scullers and Henley RC in the Senior event. The Intermediates unfortunately had an early exit in the Intermediate 2 event, missing out on qualifying from their heat. Sunday saw better performances with the Seniors finishing ahead of the same Tideway Scullers crew and 2nd in their heat, before finishing 4th in the strongly contested final, with just 3 seconds separating NUIG in 1st, London RC, Henley RC and UCD in 4th. Soon after, the Senior 8+ again lined up on the start in a 1-on-1 contest against a London/Henley composite for the Elite 8+ event. Though tired and down off the start, the UCD crew pushed back strongly and won by one length. The Intermediate 8 also showed improvement on Saturday’s performance, winning their heat and finishing 3rd in the final to a very quick Oxford Brookes crew and Thames RC.